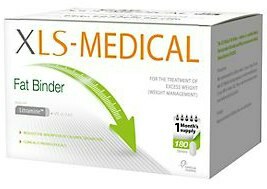 Just in time for the new season XLS-Medical Fat Binder has been released to the non prescription slimming pill market. The slimming pill is based on the concept of fat binding and is claimed can help slimmers drop 2 dress sizes and help lower the calories they consume by around 500 per day. Featured heavily the UK media (the Daily Mail and The Daily Express) XLS-Medical Fat Binder has been christened the £2 a day slimming pill. Holland and Barrett have informed us that such is the demand due to the recent press XLS Medical is currently limiting stock. 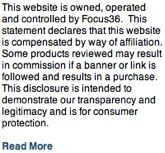 However, the product is still available through the online store. The slimming pill is made from cactus extract (the prickly pear cactus) – the cactus is rich in dietary fibre, when the dietary fibre comes into contact with fat it binds to it making it too large to be absorbed the stomach. This undigested fat can then pass naturally through the body and exit when you go to the toilet. The cactus extract can also help to suppress appetite and make you feel fuller for longer after meals and also help you to reach satiety (fullness) quicker during a meal reducing the amount of food you eat per meal. 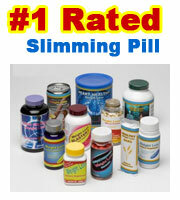 Slimmers who took part in the clinical trials were amazed at the results produced. Some slimmers were given the tablet while other were given a tablet that didn’t contains any of the weight loss ingredients. Those who were give the actual slimming ingredients lost over three times more weight than the slimmer on the empty (placebo) tablet. Singer Mica Paris has also used XLS and she has dropped from a size 16 to a size 12 in three months. Made from completely materials and ingredients with out any stimulants or artificial chemicals. There are no reported side effects if used in accordance with the manufacturers guidelines. Fat binding and stopping the absorption of fat is arguably one of the most effective mechanic of actions. GP’s often prescribe slimming pills that work this way. XLS is considered to be better choice as it is completely natural. Available to buy from several authorised stockists. There is current promotion in place allowing the purchase of either the full one months supply of a cut down 10 day trial pack. 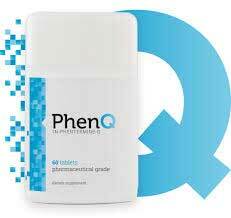 PhenQ is a highly effective fat blocker that can also burn excess body fat as well reduce and suppress appetite. It could be argued that XLS is based on the PhenQ formula and shares a remarkably similar mechanic of action.